After 8 years of being our biggest seller, and repeatedly told this is the best tube integrated amplifier they heard, we would like to thank you our customer by offering the all new generation of this F-168, from best to the finest! The pocket reference of all push pull integrates. The F-168 MK2 is a true compact pocket reference, able to turn your little space into a concert hall! So how can we make it even better than the "best"? HIFI Transformers - Now we got the oldest and biggest HIFI transformers maker in the world to OEM us the desired proprietary spec and meeting outcomes with want to see. 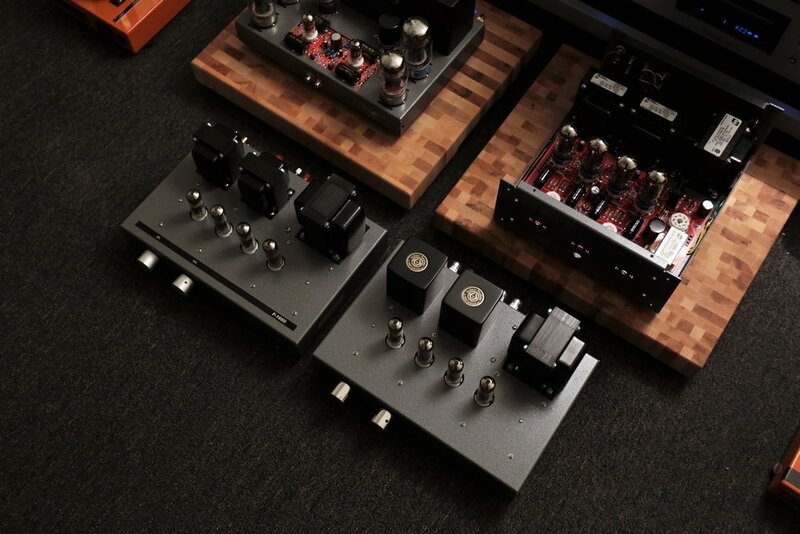 Authentic HIFI grade and quality, and these transformers are all hand made in Canada! CSA / UL Compliance. This is the biggest improvement over the last generation, which uses less Hi-Fi audio transformers with cut off highest bar and lowest note. Now it can - it is true full range response of 30hz - 20khz! 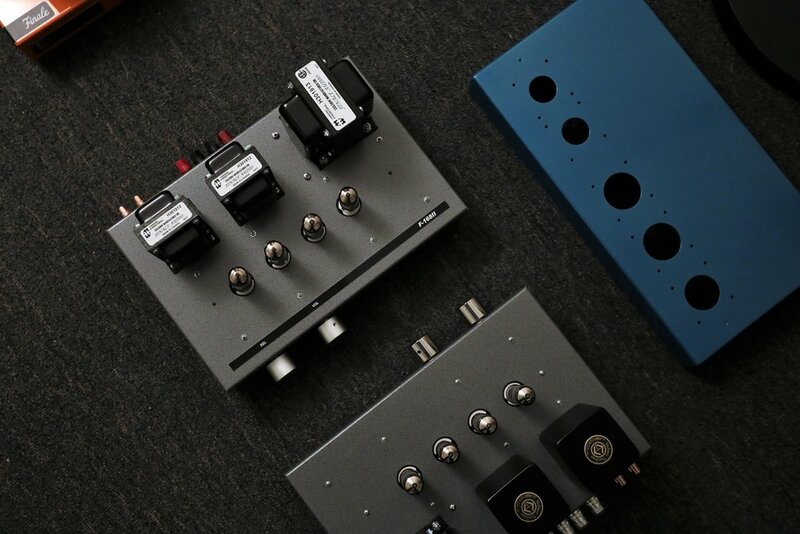 Higher Quality Parts - We now uses our own high end parts and bites, such as The rose-gold plated RCA input jacks, and the stainless steel solid volume knobs...etc. They are engineered to work best, sound best, and last best. And easily the best on the market. New Circuit Design - While overall is same to the Niagara and the F168 N Spec, the MK2 have been remapped to use our new HIFI spec transformers, as well using more HIFI caps and resistors. And yes, our unique A.D.F.S Technology is still in use! It is also feedback less, and why the F168 always sounded good with all kind of speakers! Size - Even more compact , just slight bigger than a letter paper. Measuring 13.5 " wide x 9" deep only. Tube cage is included now. A.D.F.S Technology (Automatic Differential Feedbacks System) - By applying positive and negative feedbacks together at the same time, to maintain the best control and stability, while having minimum phase and sound shift for the most realistic sound playbacks. This is perhaps the most advanced design of its kind on the entire market! Optional N-SPEC Upgrade : A wolf in a sheep's clothing! Available starting 2017 : $2,099 USD / $2,699 CAD - A new Niagara design in F-168 clothing; a wolf in a sheep's clothing. Power upgrade to 10W Max, with upgraded power supply and grounding circuitry design, including same high end regulating circuitry found on the Niagara, which allow the most accurate voltage and supply for each tube to boost its potential and even wear. This compact tube integration is often used as a pocket reference for us on different occasions and speakers tuning, it is also hand-built to last! Remember the sound of the playback of the big old TV or tube receivers in the past, when the kick-drums of the live band on TV shows sounded realistic, full and really kicking? A lot of those systems were powered by 6BM8/ECL82 tubes - a tube that has both a pre-amp and power tube section in one envelope. We always liked this tube, not just for the memories and nostalgia, but also because it produces a good stereophonic sound. We use this integrated-amplifier-in-a-tube to power the F-168. The tube is placed in an automatic differential feedback system circuit — to maintain the best control and stability, while having minimum phase and sound shift — for the most realistic sound playback. Although this is one of our least expensive amplifiers, rest assured that you are purchasing an innovative, well-designed circuit — one that has never been heard in the past nor seen on the market! We bring the same attitude of innovation and striving for excellence to all the products we build, from our entry-level to our high-end models. Now, take the leap, and get a sip of the high-end tube sound with this F-168! Looks entry-level and simple, but is high-end enough to be the sole amp of your system.
" I'm writing to say that I've fallen in love with my F168S. It's totally amazing. I've had about 40 amplifiers and I've never heard an amp sound so 'live' and have such an amazing, and realistic, soundstage. It sounded rough at first. At the 100 hour mark, I wasn't sure it was special, and I only keep special amps. But I knew it might need more time. So I was patient. At the 250 mark, me and my favourite amplifier got knocked out. The sound-staging became huge, the treble was no longer splashy, the bass lost it's thud, the performances were real! I'm shocked. I've never heard such a big transformation between new and broken-in before. This amp is very intense, and therefore not for everyone, but I love it! It has the excitement of real life. The thrill, the sound! Brass instruments are the finest I've ever heard. Ever. I played saxophone (mostly alto, some tenor) for many years, and this little amp recreates them in the most real way I've ever heard!! It's the first amp I've had that nails that sound, and that's saying a whole lot. Note i never emailed you saying this about the 2A3. It's good too, but for my tastes and my system, the 6BM8 is king. Wow! You stumbled on a real gem here. It's my new favourite amplifier, and that doesn't happen often. So I had to tell you. Thank you so much for making it.